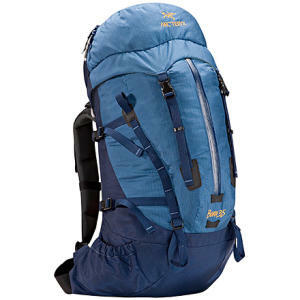 The Arc'teryx Bora AR 50 is a men's multi-day backpack designed for hiking, backpacking, and trekking in mountain environments. 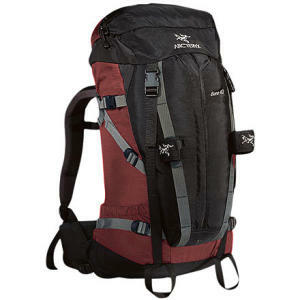 It has the capacity for two- to three-day backcountry trips and weighs 80 ounces. The Bora AR (All Round) packs are designed to handle variable weather conditions year-round. They're made from 420d and 630d nylon fabrics with weatherproof AC² fabric for extra resistance in areas exposed to rain and snow. The RotoGlide hipbelt moves side-to-side and up and down with your movements for balance and less chafing. Additionally, cushioned shoulder straps can be adjusted vertically and horizontally for a precise fit using the GridLock system. 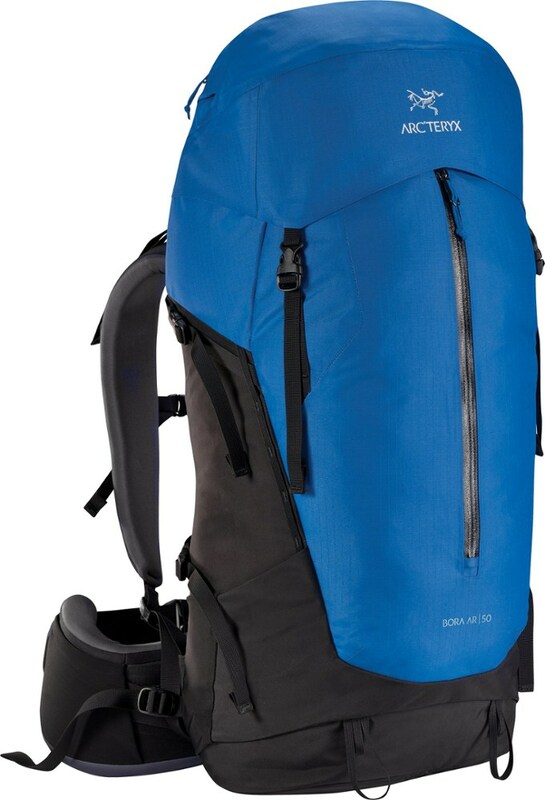 The Bora AR packs come in two sizes for men (50 liters and 63 liters) and two for women (49 liters and 61 liters) and in regular and tall torso lengths. The Bora AR 50 replaced the Arc'teryx Bora 30. 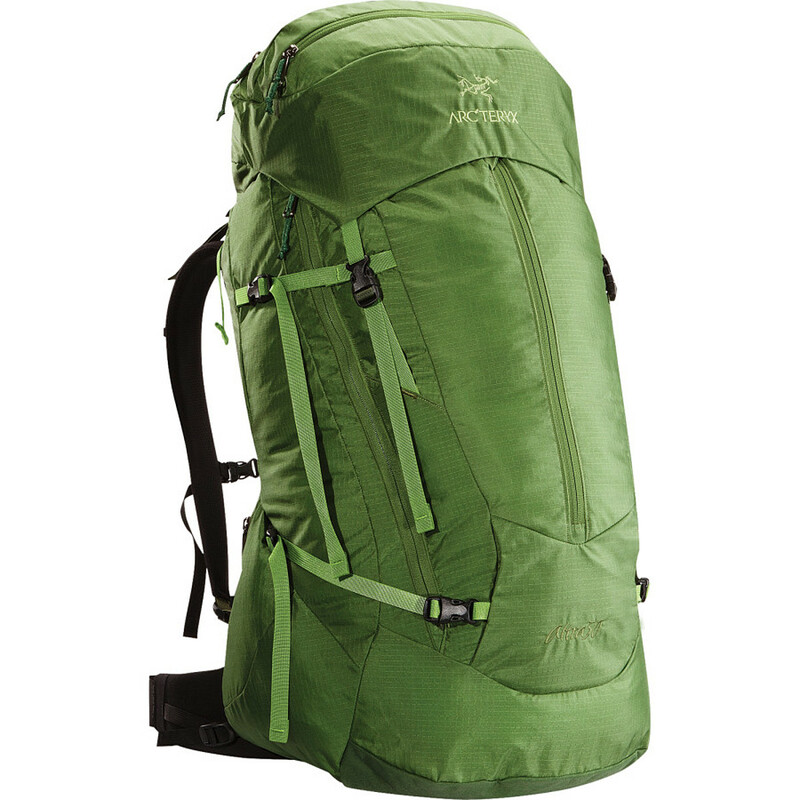 The Bora AR pack is a lightweight, water resistant, very comfortable pack for about 30-45 pounds. I have hiked many miles with external frame packs to soft frame packs, some with no hip belts (shows my age) some with little or no adjustments, some that were agonizing to wear, some that were very comfortable. 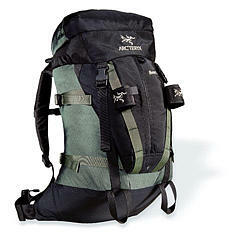 Arc'teryx is my brand of choice. 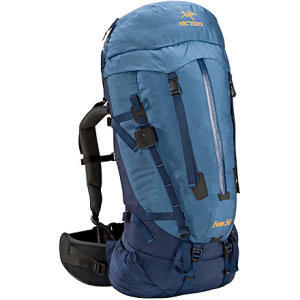 I have hiked with the older Bora models, the newer Altra and Naos packs and now the newest Bora AR packs . 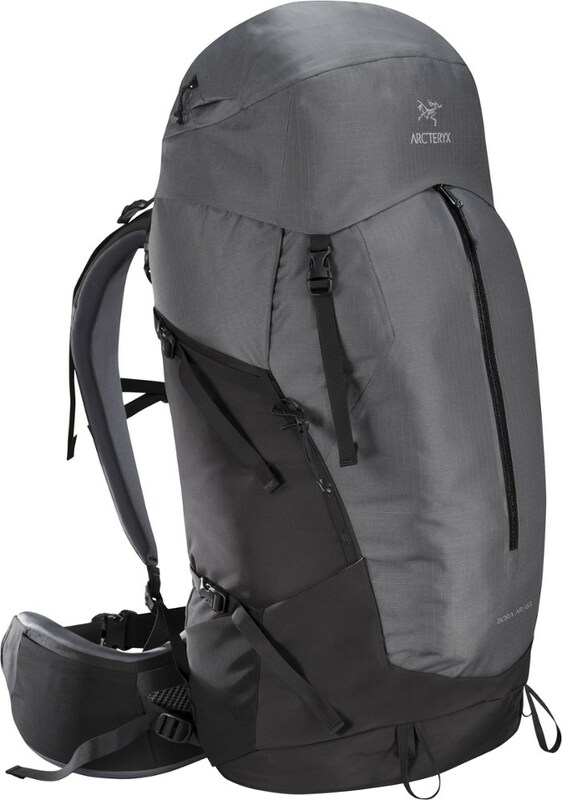 The evolution of Arc'teryx packs (for me at least) has been very rewarding. The older generations were somewhat comfortable and a bit on the heavy side. The newer generations got lighter, more comfortable and more adjustable. We are training for a 33-mile overnight hike on the Chilkoot Trail (joint Parks Canada and Parks Service historical trail) and have been fortunate enough to graduate from the older Bora through the Naos and Altra packs to the newest Bora AR packs. As to date we have been on many overnight hikes, packing between 3-40 pounds and have found the Bora AR to be very comfortable—the fit and adjustments are excellent. This is your typical Arc'teryx product—well designed, tough, adjustable, and very comfortable. The price is a bit high, but the pack is worth every penny. At first I was thinking that the accessibility was poor until I noticed a side zipper which allows access to the main portion of the pack. It is nicely concealed to prevent water from entering this area. There are not a lot of exterior pockets but I would rather have a pack that is more water resistant and less subject to snagging on branches or rocks. Arc'teryx has done a great job in designing the shoulder harness to be adjustable in both width and height. We have adjusted our packs several times and have been able to fine tune enough to be very comfortable. I was a bit skeptical about the pivoting waist belt, but it works great and the pack moves very nicely with you. We now have three AR packs and would honestly give them a five-star rating—these will last a lifetime. Enjoy as they are the BEST. Thanks of the Bora review, Manfred!